1). Heat oil in a pan for deep frying. Wash the flattened rice thoroughly, and add water just above the level of flattened rice and set it aside for 10 minutes. 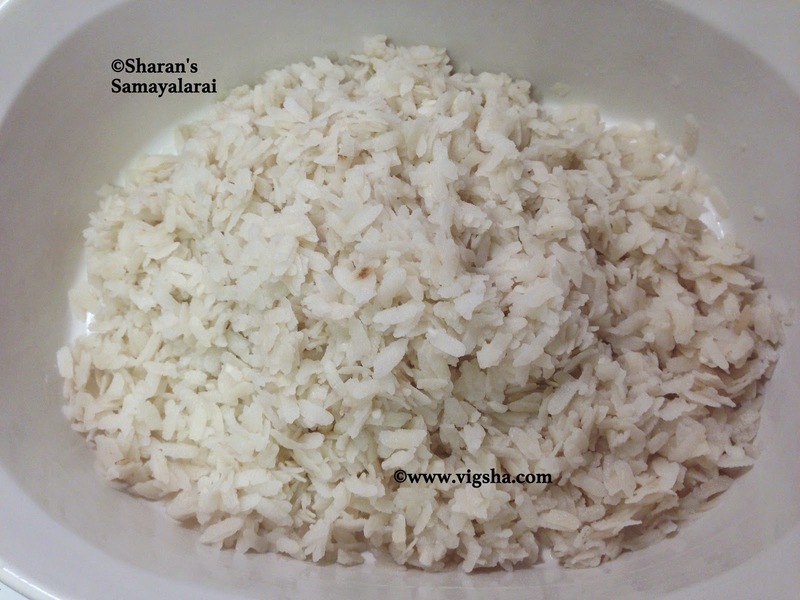 After 10 minutes, squeeze out excess water from soaked flattened rice. 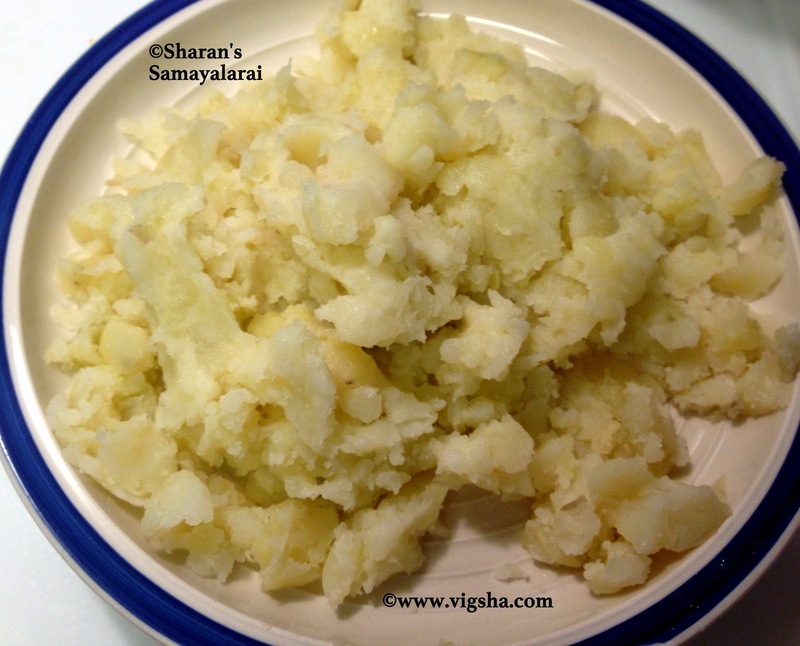 Mash the boiled potatoes without any lumps. 2). In a mixing bowl, add mashed boiled potatoes, chopped onions, green chili, minced ginger, curry leaves, coriander leaves, peanuts, salt and combine. Make equal sized balls and flatten it to make patties. 3). When the oil is hot, gently slice the patty one by one. Do not over crowd them. Fry it in batches. 4). Deep fry them till they are golden brown and crispy. Remove and drain them in a paper towel to remove excess oil. Serve hot with a filter coffee or tea. The texture is more spongier than paruppu vadai. #* Thick variety aval needs soaking for 10 minutes. if its thin aval, wash and use immediately. # Do not miss minced ginger, it adds a punch to the vada. # If the mixture is watery, add some besan or rice flour.